Privacy yet convenient! 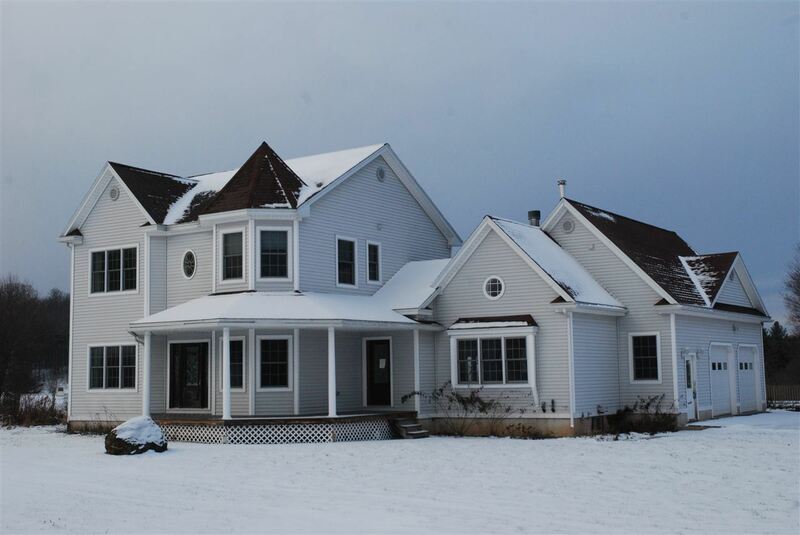 Placed close to the middle of 3 acres, this custom designed colonial has plenty of space inside and out. Offering a dozen rooms with more than 4000 sq ft of finished space this home provides endless flexibility. The 5 bedrooms can support a large family, multiple guests or in home business. The master is located on the first floor and has private bath with jetted tub. One other bedroom has it&apos;s own bath and could be used as an in law suite. A spacious kitchen has plenty of cabinet and counter space along with granite tops, double oven, vegetable sink, and phone center. There is a absolutely gigantic rec room on the 1st level great for gaming, theatre, gatherings and more. The living room provides both a wood stove and pellet stove and can be used for ambiance or supplemental heat source. If you are looking for additional space there is another 900 feet of finished space in the basement. Other features include 9&apos;, cathedral, and vaulted ceilings, rooms with hardwood flooring, above ground pool, detached 4 bay carport, BBQ nook in the garage with professional exhaust hood and much more.